Sapphire is the new single from Larkins and is a real statement of intent. Epic, without sounding overblown, it's a band that's making good of the stated desire to break out of the indie guitar mould that so many bands are set in. 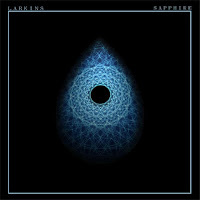 Following their debut single Hit And Run and its follow-up The Tale Of Cassandra, Sapphire is Larkins' third single of an eventful 2015 for them. It's no surprise to note that this is their usual set-closer, such is the power of the song and the endless possibilities within it to create a real talking point at the end of a show. If it's an indication of the new material they're writing, 2016 promises to be a big year for them.